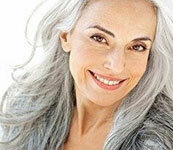 On short or long hair, on the catwalk or in the street, the color of white hair is radical and ultra modern. And if we went to the glacial blond or polar trend? Are glacial and polar blondes for you? There is a pebble in the shoe … it is not suitable for all women. 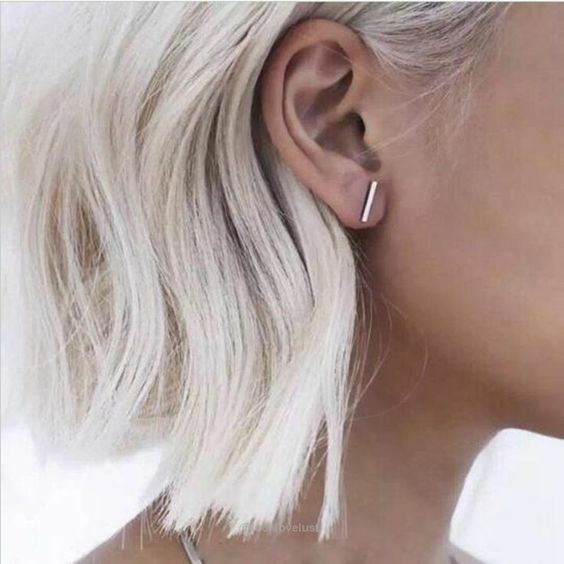 In 2019, blond hair must be as white as first snow. Polar platinum is also seen on the catwalks. At Elie Saab, Fendi, Ralph Lauren or Etro, we have seen scrolls armies of opalescent manes. If you decide to wear galcial or polar hair coloring trend, take care gives you cold in the back. It is best for women who have a fair complexion with blond hair and pale eyes. Black and dark brown eyes like Kim Kardashian do not mix well. To succeed the glacial blond, one must not only be decided. Kim Kadarshian did not last long with her failed test in platinum blonde. It must be understood that the color of your eyes has an influence on the result. The darker your hair is, the more difficult the pigment in your hair will be to remove and your hair will be more ugly. Glacial and polar blonde pastel colors for you? You will tell me, what is the connection between my hair and the color of my eyes? Everything lies in the pigment, the natural pigment that lodges in your hair color is found in the Iris of your eye and professional colorists are experienced in this research to find the solution. The darker your eyes are and the more the pigments are orange to red and we find these same pigments in your hair. In the middle of a promotional tour for the final part of Hunger Games, Jennifer Lawrence did not make a mistake. His Californian blond and his wavy lengths have been replaced by a square of white hair full of character. You will notice that the color of his eyes is clear, which makes fading less difficult to achieve. Adventurer J-Law? Especially in the air. Because in the space of a year, the coloring trend has strongly reversed. The seaman and his descendant le Bronde are always in demand, sometimes considered too natural. 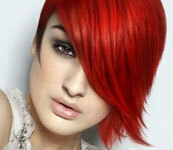 To be at the forefront of hair fashion, it does not necessarily need a radical color, which slice. This is how Cosmic hair (Galaxy hair) and its imaginary unicorn and Opal Hair were born. Proof that the phenomenon is no longer only the prerogative of those who trust the sphere of fashion, just take a ride on Pinterest or Instagram to come face to face with cascades of white locks. And then the good side of this trend is that it can be worn by all. Eric Jolivet, colorist at Massato in Paris, recently told Paris Match: « It’s a shade that goes to everyone, it’s majestic, it brings light to the face while giving it a lot of character ». On the other hand, a bell sound differs for Ludovic the colorist « Indeed with the age, the true natural white suits to almost all the women, because the carnation is also modified and one obtains a brightness. it is difficult to succeed if you do not have what it takes! The reason is very simple, the pigments found in the hair dictate a success or not. Naturally dark to black hair and dark to black eyes, also taking into account your complexion, clearly indicate a success or a disaster. More often the disaster is confirmed by dry hair, broken and emptied of pigments that give the effect of a bale of hay. But if the very light hair like the Glacial and polar color agree almost all skin tones, in addition to the contraindications above, two other factors should be taken into consideration to prevent your experience turns into drama. Posté le 5 avril 2019 à 19 h 28 min.